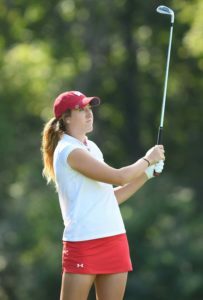 The Wisconsin Badger women’s golf team slipped from sixth to tenth after two rounds of the NCAA Regional at University Ridge golf course in Madison. The Badgers are six shots behind sixth place Illinois heading into Wednesday’s final round. The top six teams advance to the National Championship later this month. First round co-leader Gabby Curtis shot a 2-over-74 and shares seventh place individually at three-under par. Lexi Harkins fired a three-under 69 and is tied for ninth at two-under. Rain and thunderstorms are in the forecast for today. The top six teams from the regional advance to the NCAA Championships in Oklahoma City. In addition, the top three players not on advancing teams also advance. Senior Gabby Curtis fired a career-low 67 and is tied for first after day one of the NCAA Madison women’s golf Regional at University Ridge Golf Course. 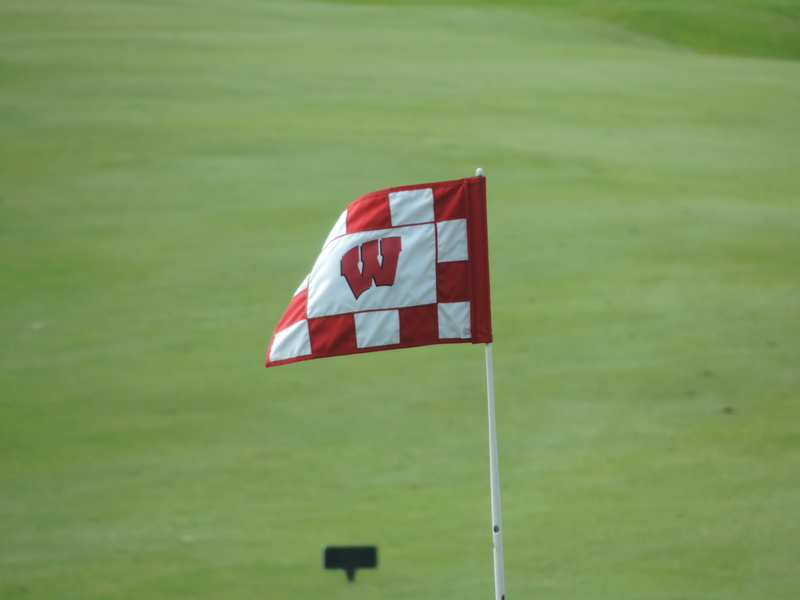 As a team, the Wisconsin Badgers finished at +2, good for sixth place in the 18-team field. Curtis made six birdies over her last 10 holes. Her 67 is the second-lowest round by a Badger in NCAA Regional competition and the second lowest by a UW women’s golfer at University Ridge. Seniors Lexi Harkins and Becky Klongland both shot 1-over par 73’s and are tied for 26th place. Wisconsin’s 290 was the best score for a Big Ten team, two shots ahead of Illinois, three up on Ohio State and four ahead of Northwestern. Round two tees off at 8 a.m. Tuesday morning. Wisconsin tees off on the first hole starting at 8:54 a.m. 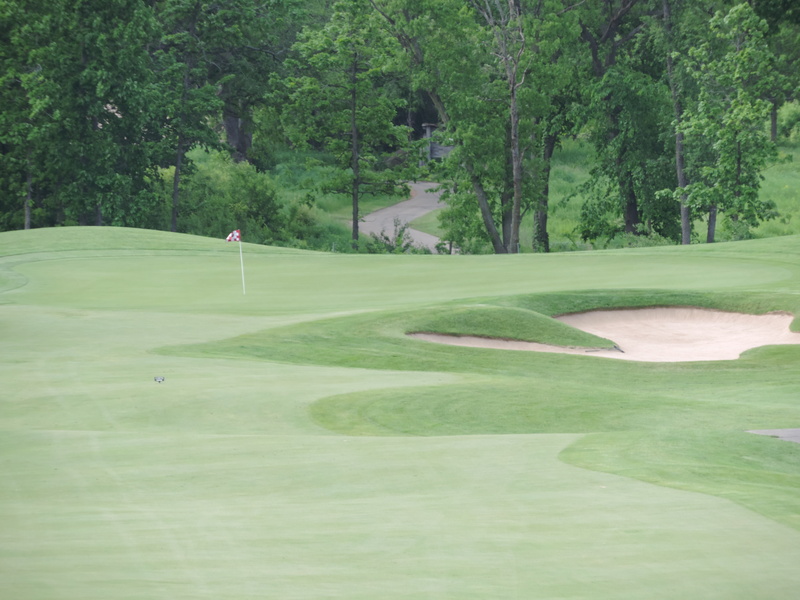 The first day of the 47th WIAA State Girls Golf Tournament set up a highly competitive scenario for the team and individual titles at University Ridge in Madison on Monday. Defending champion Arrowhead leads the Division 1 field by 13 strokes with a four-player, 18-hold score of 312 on Day 1. Milton is second with a score of 325 and Brookfield Central is third at 326. Aquinas has a one-shot lead in the Division 2 team standings by firing a 359 on day 1. 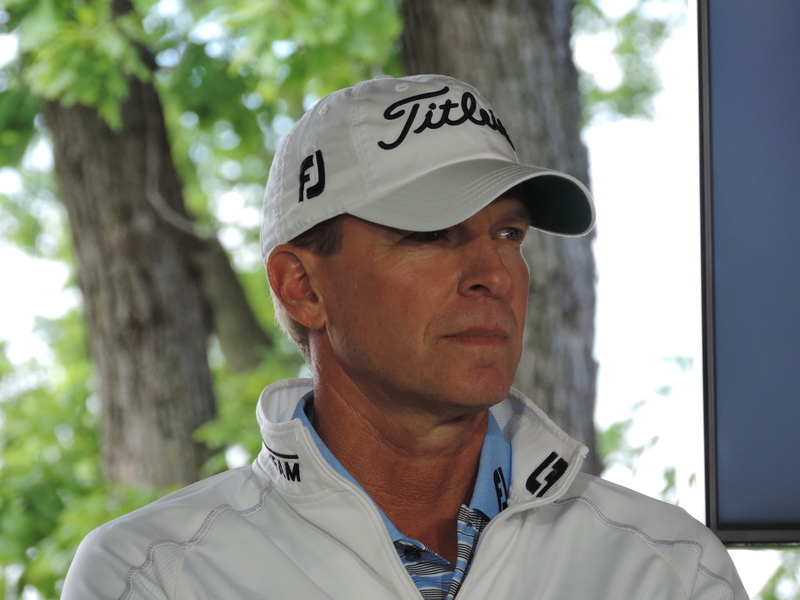 Edgewood led throughout much of the round and is currently second with a score of 360. Fox Valley Lutheran is third, 15 strokes behind the leader at 374. The second and final day of the competition is underway at University Ridge. The 90th WIAA boys state golf tournament begins its two-day run today at University Ridge Golf Course near Madison. Homestead returns as the defending Division 1 state champion. Catholic Memorial is the 2-time defending Division 2 champion and Lancaster returns to defend its division 3 championship from a year ago. Division 1 competition starts at 7am this morning with division 2 & 3 competition starting at noon. Team and Individual champions will be crowned at the end of Tuesday’s competition.